Kensington, Calgary’s urban village, is a vibrant neighbourhood located just north of Calgary’s downtown core along The Bow River, within minutes of SAIT and ACAD. The Annex is situated steps from the Sunnyside LRT station and a variety of grocery stores, with easy access to more than 270 retail shops, 28 restaurants/pubs, 30 health and wellness businesses, 21 salons/spas, 62 professional services and 23 speciality stores within Kensington’s friendly, walkable hub. 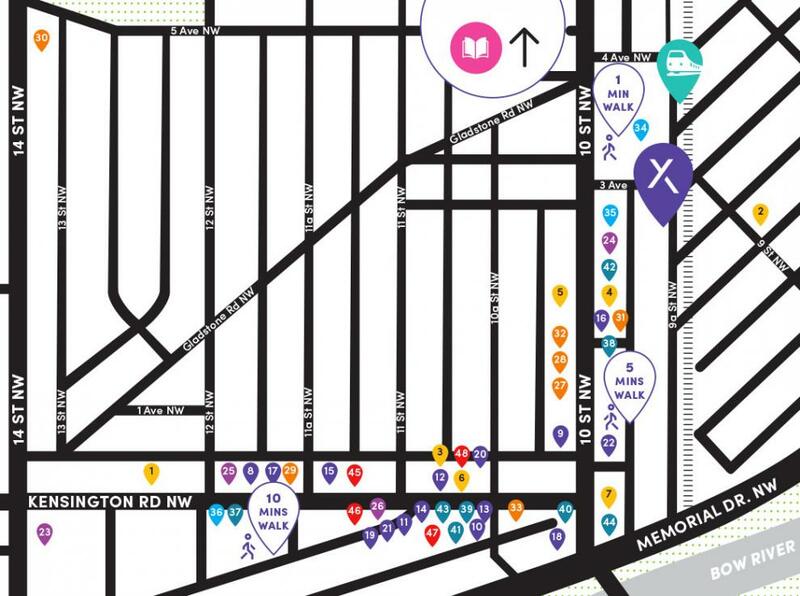 Use the map as your guide to explore all Kensington has to offer.